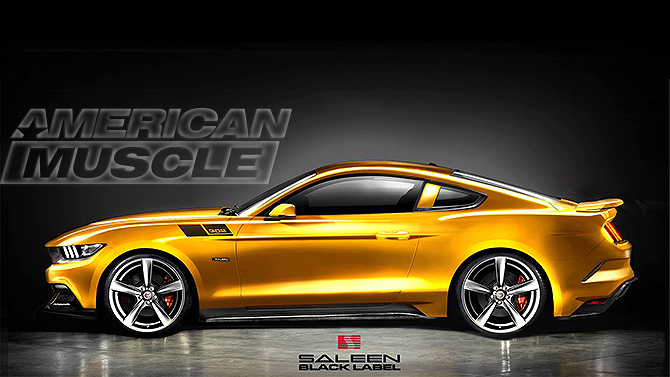 Saleen has some big plans for the 2015 Mustang that will deliver big power in their 2015 S302 Mustang! Steve Saleen has been one of the biggest names in the Mustang community as his involvement with the Mustang dates all the way back to the Fox Body days. Along with Roush and Shelby, the Saleen brand has leveraged themselves as being one of the biggest and best aftermarket modifiers and aftermarket manufacturers for the Mustang. With the 2015 Mustang being a blank slate for Saleen, they have unveiled what is one of their greatest works yet. For the S550 Mustang, Saleen is offering three different trims to chose from, that provide varied levels of modifications. The entry level S302 is the White Label, which offers upgraded fuel injectors, tuning, and exhaust bumping up the GT’s power from 435 HP to 450 HP and torque up to 410 TQ. Stepping things up even more is the intermediate option, the Yellow Label S302, which adds a twin-screw supercharger into the mix jumping up power output to 640/565 HP/TQ. Expanding upon the supercharged Saleen option is the top level offering, the Black Label S302, which offers the same power numbers in addition to more race-ready parts: a functional induction hood, brake cooling system, and even more interior/exterior styling parts. While their has been no official pricing release, pricing is not expected to change drastically from the 2014 offerings. The White Label started at $39,095, Yellow Label at $50,563, and the Black Label at $54,386. Depending upon what you want out of your 2015 Mustang and do not feel like adding aftermarket parts, as a turn key option any of the S550 Saleen S302 models would be a great option. Saleen is already accepting deposits on the 2015 S302, with $2,015.00 being the required deposit to reserve yours. 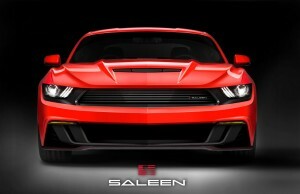 Undoubtedly, the Saleen S302 will come in a large variety of colors as Saleen Mustang’s have in the past. What is interesting is that a Saleen Yellow or Black Label S302 will fill in the horsepower-addicts desires’ until we get a Shelby GT500, as the Yellow and Black Label are going to be making 13-14 Shelby GT500 power range numbers. 2015 Mustang Limited in Power? The White Label Mustang draws into question the stock 2015 Mustang GT, more specifically the fuel injectors it comes with. Dave Pericak, chief engineer of the 2015 Ford Mustang, has commented multiple times that they left nothing on the table with this Mustang meaning that some of your classic go-to bolt-on mods will not be as effective. The idea that the White Label S302 needs to change up injectors to squeeze-out more power backs up Pericak’s claims that they really massaged this new coyote motor. Check out the Saleen Spec sheets below. What do you think of Saleen’s offerings? Do they live up to the Mustang Heritage? Or do they miss the mark? Next Entry 2015 Roush Mustang Revealed! This Saleen looks way to much like a Camaro or a outdated 2011-12 5.0….. Yuck. Your right on the money there it does look like a Camaro but I don’t see the out dated 2011-12 5.0. I just want a hood replacement.